Sure, summer is now winding down as we get close to the waning days of July. Soon, it will be August and then September brings the start of fall. Before you know it, the holiday shopping season will be here. But we are getting ahead of ourselves. It is still hot outside. How do we know that? Well, there is first hand experience, but also Cricket Wireless is holding its Hot Summer Deals. That means that it still has to be summertime, right? After all, when the cricket sees its shadow, that means we have several more weeks of hot weather ahead. So what exactly is Cricket offering you for the summer? 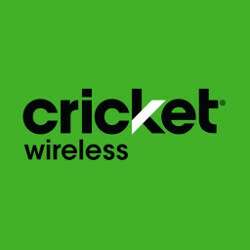 Well, for a limited time only, new and existing Cricket customers can receive two lines of unlimited data for $80 a month total ($40 for each line). Keep in mind that unlimited Data Speeds are limited to 3Mbps, and unlimited video peaks at 1.5Mbps. Yes, these are not what you would call zippy speeds. And if you consume more than 22GB of data in one month, you could find your data speeds throttled. If interested in Cricket's Hot Summer Deals, click on the source link. Hmm the price is interesting! It kind of makes me wish that I didn't cancel my other line now lol. Too bad that when you do the 2 lines for $80 that Cricket limits downloads to 3Mbps, plus really only 22gb. 3Mbps is laughable. Conversely on H20 there speeds are supposed to be 8Mbps tops for LTE but i just did a couple of speed tests and got 15 on one test and almost 40 on another.